After the introduction to 'subconscious mind', now its time to know how we can program our subconscious mind. Since subconscious mind learns by repetition, not by logic or any means, we can program our subconscious mind by simply repeating any information we want. Before writing about the various methods for training/programming our subconscious mind let me make you clear about the working principle of subconscious mind by comparing with it the computer's working principle. Since 90% of our brain's capacity is within the control of subconscious mind we must know how to use and control it. Subconscious mind is like a hard disk of a computer in which everything is stored permanently but without a proper 'database' (meaning, we can't retrieve the proper information at required time). In Computer, what happens to a 'program' when we simply minimize it, it's window disappears from the screen but does it really means the program is gone forever? No!, it's still there, and actively working on background (i.e. when we minimize 'Itunes' does it stop playing music?, No!). Similarly the things and concepts that we are holding are just like the programs of a computer. Due to the continuous thinking of conscious mind those deep rooted desires, ideas and feeling just fades away from the conscious mind (in simple terms; it just gets minimized). And we go on thinking that its over. And most of us have negative beliefs patterns, negative ideas, wrong informations and emotions installed in the subconscious mind. So, like the 'Itunes' still playing music even after being minimized from the current viewable desktop(i.e. conscious mind) to taskbar (i.e. subconscious mind). Our subconscious mind is also creating hindrance for new ideas and goals since it already have so many things waiting to be resolved. We can clearly understand that our subconscious mind holds everything that we are capable of. How can a computer work if it has heavy programs like 'Photoshop ', 'Itunes', 'Virtual Box', 'Movie Maker', 'AutoCAD ', etc all running on background (minimized). It simply cannot do new tasks. Similarly we also cannot achieve or do anything new what our conscious mind wants simply because we have so many programs running on our subconscious mind (minimizingly/unknown to conscious mind) which needs to be resolved. 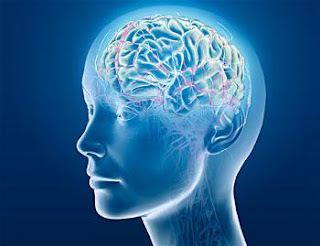 Now we are ready for the final post but even today I couldn't complete this post because I want to let everyone understand from the basics about subconscious mind including spirituality.